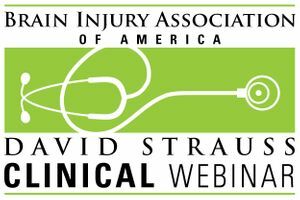 A David Strauss Memorial Clinical Lecture webinar featuring Lisa Kreber, Ph.D., CBIST, Senior Neuroscientist, Centre for Neuro Skills. Aired live January 10, 2019. Lisa Kreber, Ph.D., Senior Neuroscientist at Centre for Neuro Skills, discusses the potential effects of brain injury on the body's neuroendocrine function.